Asus confirmed last week that three ZenFone 3 smartphones will receive Android 8.0 Oreo updates in March, but it didn't mention any exact release dates. If you're using an Asus ZenFone 3 Laser, ZenFone 3 Zoom or ZenFone 3 Deluxe, you should expect to get the Oreo update at some point this week. 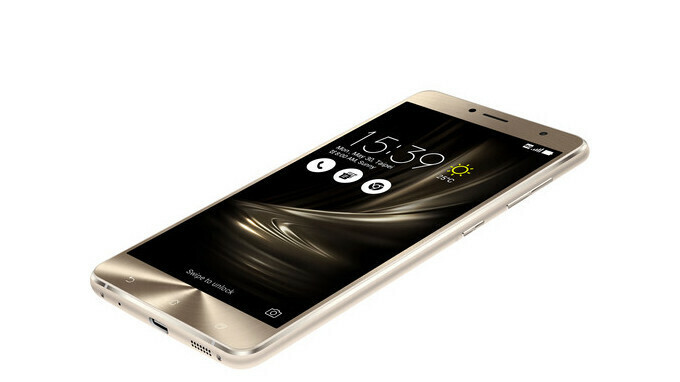 In fact, Asus has just announced that the ZenFone 3 Deluxe is the first of the three to receive the previously teased update. Keep in mind that the update arrives for the ZS550KL model, the ZenFone 3 Deluxe variant that sports a 5.5-inch display, not the ZS570KL model that includes a slightly larger 5.7-inch screen. Remove third-party App: TripAdvisor, Puffin Browser, and Kindle. Remove Do It Later, Mini Movie, Quick Memo, PhotoCollage. Move FM Radio function to quick settings. After OS upgrade, in order to enter “All Apps” menu, use “swiping up” gesture to do so. Original “All Apps Icon” can be moved or changed. According to Asus, it will take about one week for the Android 8.0 Oreo update to reach all ZenFone 3 Deluxe devices, but if you don't get it by then head to Settings / About / System update and try to update manually. Why cant Sony put these beautiful capacative keys on their phones!???? Most android is now using in screen keys due to google, capacative is quite outdated nowadays.